What Is Inflation and How Does It Erode Wealth? When many of us think of things that erode wealth, we think of things like high fees and taxes, as well as poor spending decisions. What many of us fail to take into consideration when we think of our future wealth is inflation. At it’s most basic level, inflation is a rise in prices. As prices go up, your spending power goes down. One dollar today buys less than a dollar did 20 years ago. That same dollar will purchase even less 20 years in the future. Inflation is mostly silent as it wears down your wealth. If you want to retire comfortably, you need to be able to beat inflation. This means that you need to grow your wealth at a pace that exceeds inflation. If inflation averages 3 percent a year, you need investments that earn you 3 percent each year to keep our buying power at the same level in the future as it is now. You need to earn at least 4 percent a year on your money in order to beat it the ravages of inflation. However, good retirement planning is about more than just trying to edge out inflation. If you want a successful retirement that involves your money lasting longer than you, it’s important that you account for withdrawing a certain amount from your retirement account on top of inflation. This is where the so-called 4 percent withdrawal rule comes from. With this rule, the assumption is that you can withdraw 4 percent of your portfolio each year to provide you with income that doesn’t dip into your capital — assuming a 7 percent annual return. That 7 percent covers the amount that you withdraw, plus an estimate for 3 percent inflation. If you don’t include inflation in your calculations, you could end up eating into your capital, and reducing your nest egg faster than you planned. Inflation-protected investments: There are some bonds that keep pace with inflation. TIPS and I-bonds offer variable returns that are in line with inflation. This at least allows a portion of your portfolio to keep up with price increases. Stocks: Stocks have a better chance of beating inflation over time. Even though they might lose in some years, the years that they gain usually make up for it. Over a period of decades, the average annual return often beats inflation. Dividend paying investments: Investments, like some stocks and REITs, can be great tools for beating inflation. 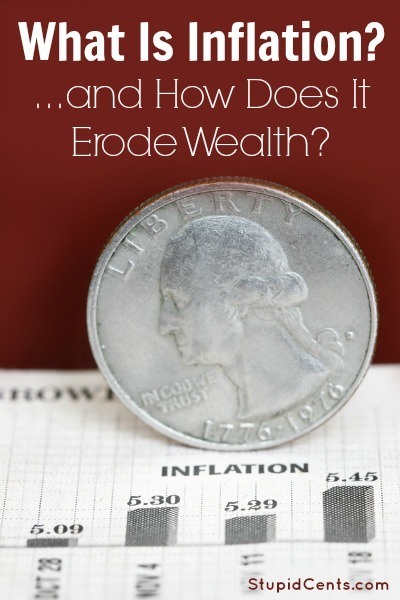 With the income from dividends — especially if you reinvest — you have a chance to build wealth to the point that inflation isn’t as much of an issue. There are other strategies you can employ as well. The important thing is to be aware that inflation will impact your portfolio, and you need to be ready to counter it.